$525. Hippo Chow Down is the latest interactive game to keep your participants and spectators laughing for hours. 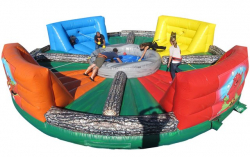 This is a 4-player bungee tug-o-war style game that involves speed, strength and agility. 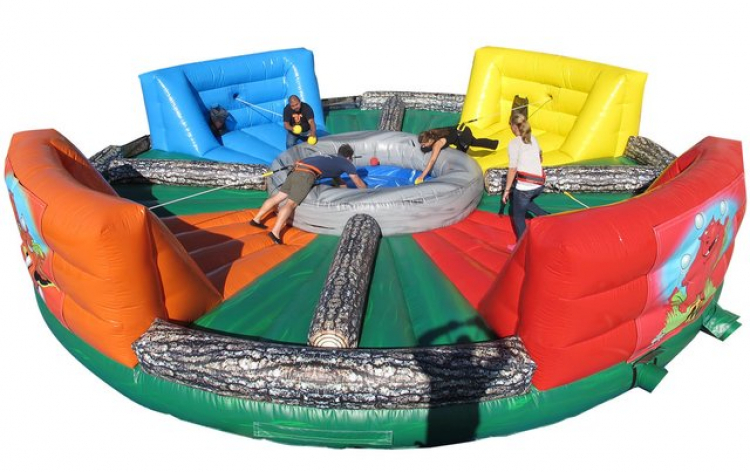 Object of the game: Once the referee blows the whistle, each of the 4 players starts from their back wall and races to the pond of balls in the center of the game to retrieve as many balls as possible and return them to the mesh bag at their starting wall. Once all of the balls are chow’d down, the player with the most balls in their bag is the winner. Must be delivered by Metz Amusements.